Fire trucks, rescue vehicles, uniforms. What was going on? 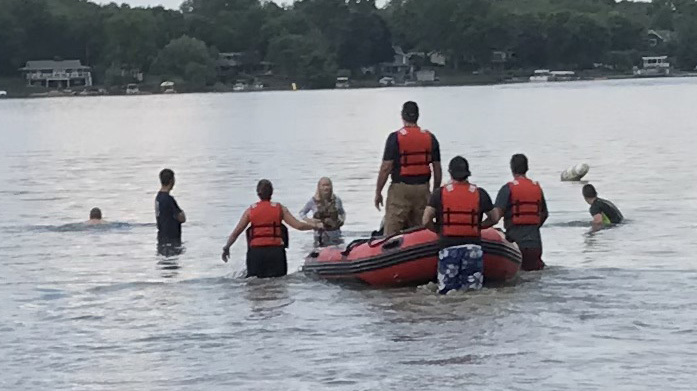 It wasn’t the “real thing”, but something important–a water rescue exercise this evening (Tuesday) at the west end of Clark Lake. 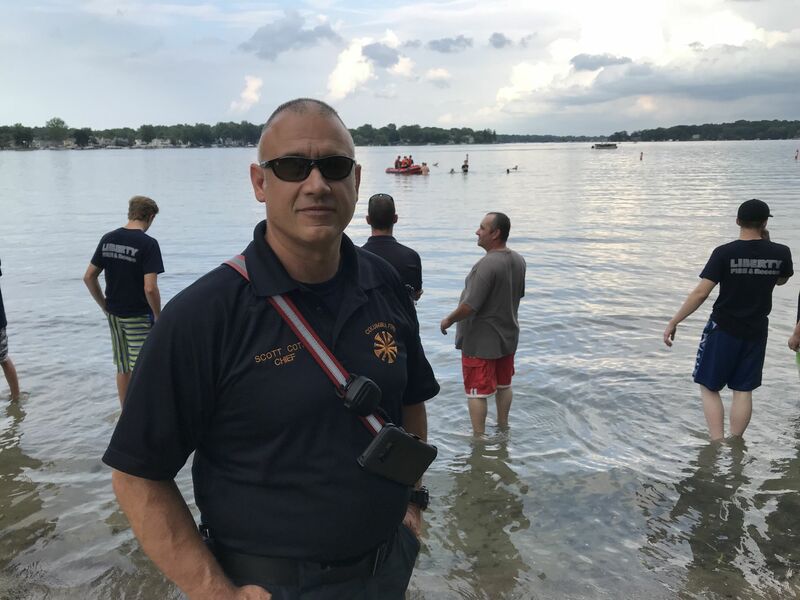 Columbia Township Fire Chief Scott Cota says “Columbia and Liberty Townships work together on water rescues, or when ice is on the lake during the winter.” He indicated that the two departments hold practice runs at least once a year to be ready when needed. If someone is in deep water, there is a definite technique to bringing him or her to safety. The rescue craft you see in the photo belongs to Liberty Township. They leave it inflated in case quick action is needed.